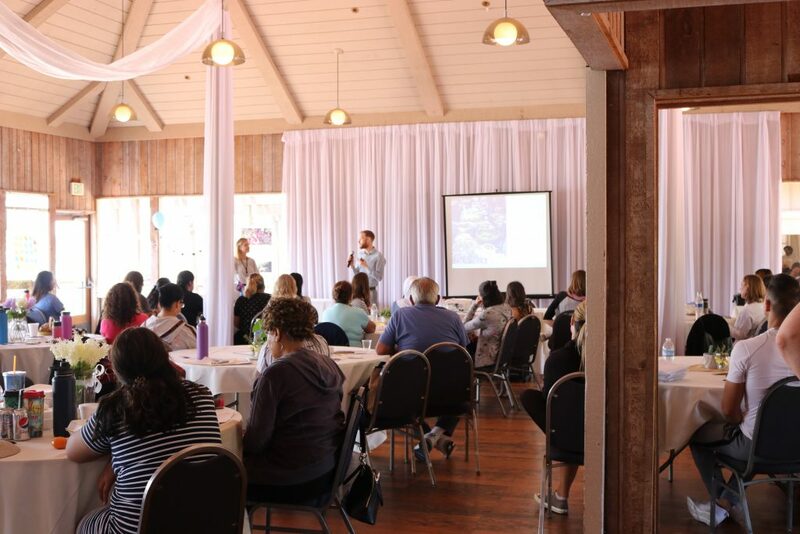 San Diego State University Research Foundation WIC Program (SDSU WIC) recently came on board as a new Live Well @ Work site and did not take long to get started improving their employee’s health. SDSU WIC officially launched their Meet Well Pledge at 11 clinic locations and their administrative office with support from Live Well @ Work. 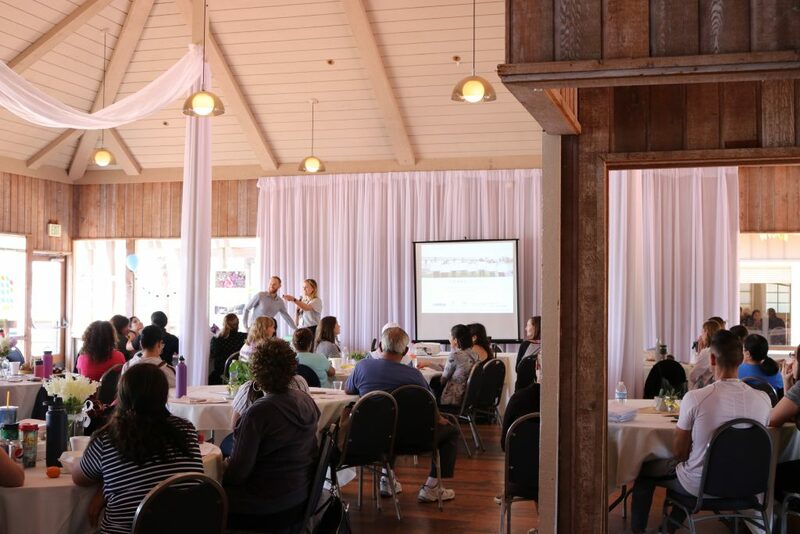 The launch of the pledge took place at their all-staff meeting in an effort to encourage healthier meetings, events, and celebrations at work. 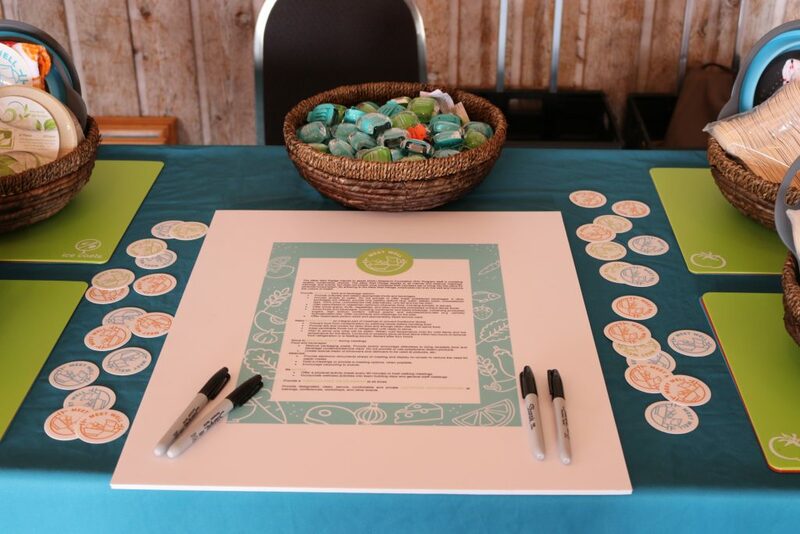 The Meet Well Pledge outlines recommendations for offering healthier food and beverage options, integrating physical activity and stretch breaks, supporting lactation accommodation, as well as being mindful of waste and packaging to promote sustainability. 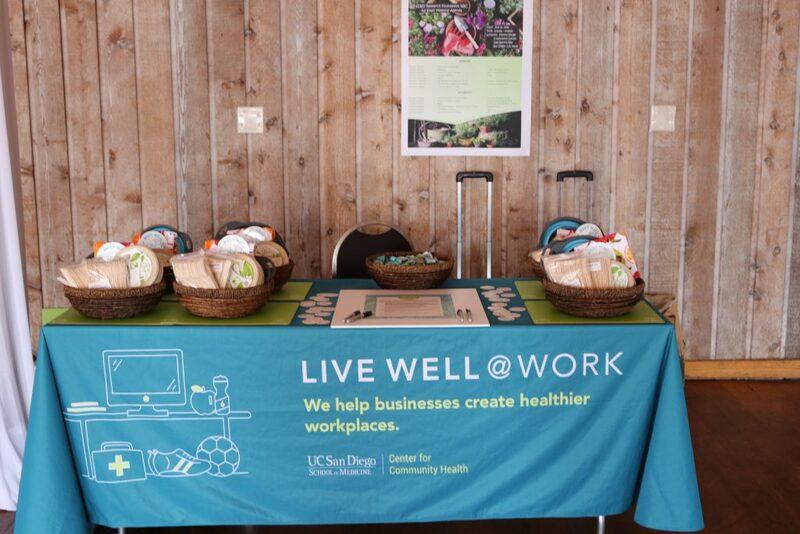 In partnership with SDSU WIC’s wellness team, Live Well @ Work presented on how to Meet Well by providing recommendations on healthy food and beverage options, lowering waste, and increasing activity in the workplace. 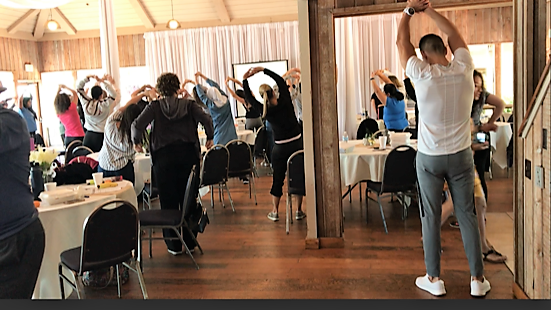 This also involved leading a mini-stretch and walking break followed by the distribution of Meet Well Pledge Starter Kits to raise awareness and motivate employees to take the pledge. Employees also had the opportunity to sign a large Meet Well Pledge to show their support, which will be displayed in their administrative office breakroom. 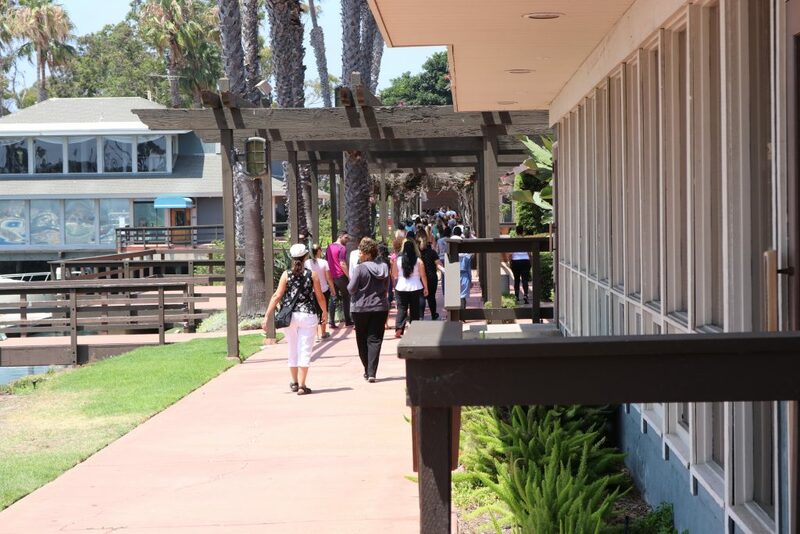 The next steps for SDSU WIC’s wellness program will be designing walking routes at each of their locations, enhancing their employee lactation rooms, and offering employee educational sessions.